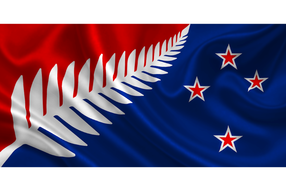 ​You can pay over $60 for a beautiful flag of this quality, buy them now and you will pay only $33! - delivery included. 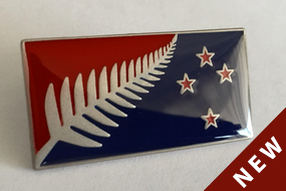 Our beautiful original silver fern flag has been made into a high quality lapel pin which you can wear on your jacket or hat with pride. or give as gifts. The pin is of excellent quality, in solid metal (matt finished nickel) the colours have been enamel sealed with resin to ensure your badge lasts.